You'll laugh, you'll cry, you'll race. 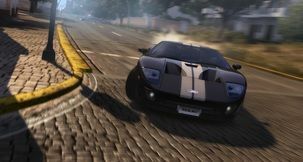 Retaining the rights to sell the current Test Drive games, Bigben Interactive has bought their way into reviving a franchise untouched by Atari for over 5 years. Atari is refuting reports that developer Eden Games was shut down. 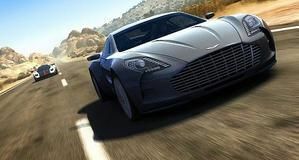 Test Drive Unlimited 2 developer Eden Games is no more as Atari close their doors. This decision comes in the wake of the latest fiscal report from the publisher, which sees revenue down. They report $51.3m in revenue from FY2012, down from the previous $77.8m. Losses were almost halved at least, from $8m to $4.8m. Eden Games' assets will be sold off entirely. Ex-Eden Games devs form Blossom Minds, "done with AAA"
Former talent behind Test Drive Unlimited 2 and Alone in the Dark have created a new studio called Blossom Minds, and want "original and quality" digital titles. Their first videogame is due for launch in 2012. They're after "smaller games" with "big production polish." Whooping AAA titles aren't welcome anymore. Test Drive: Unlimited creator Eden Games is less than happy with Atari right now, who they blame for "mismanagement" through so many "leader changes at its head". They also said those bosses "did not hesitate to get rich" despite the financial strife in the company. Eden has been "extremely collaborative" with Atari until now.